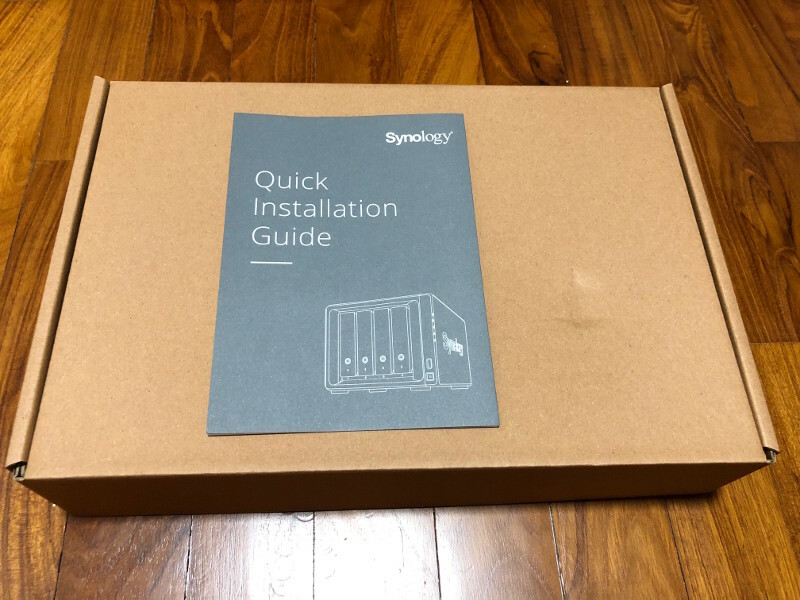 Why buy Synology DS418 NAS? Since my adoption of digital imaging and other content creation, I had gathered huge amount of digital artefacts in my laptop. Finally, there came a day when my data was going to outgrow the hard disk on my laptop. Hence, I took the decision to invest in a Synology DS418 NAS to help me keep my data. 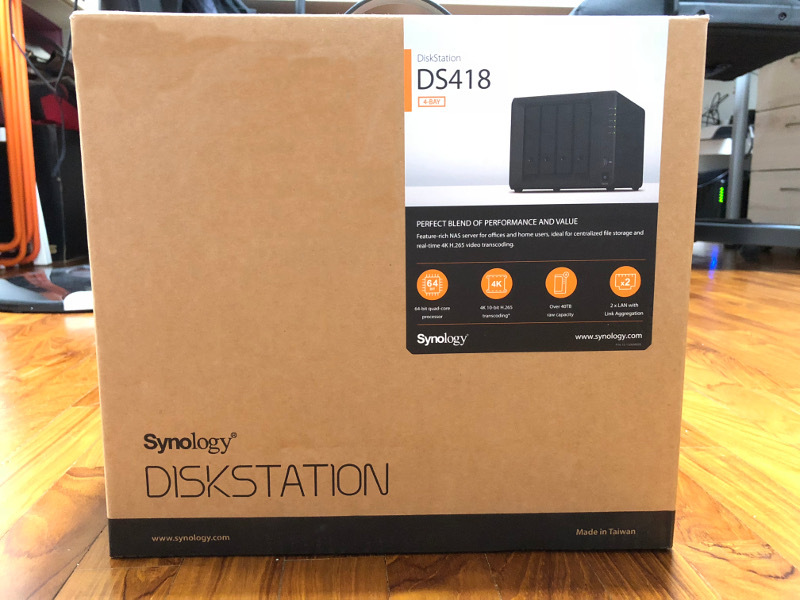 In case you are deciding whether to buy a Synology DS418 NAS, here are some reasons why I bought the Synology DS418 NAS. Beautiful isn't it? At 166 mm x 199 mm x 223 mm, it fits nicely at the bottom of my IKEA LACK Wall shelf unit. 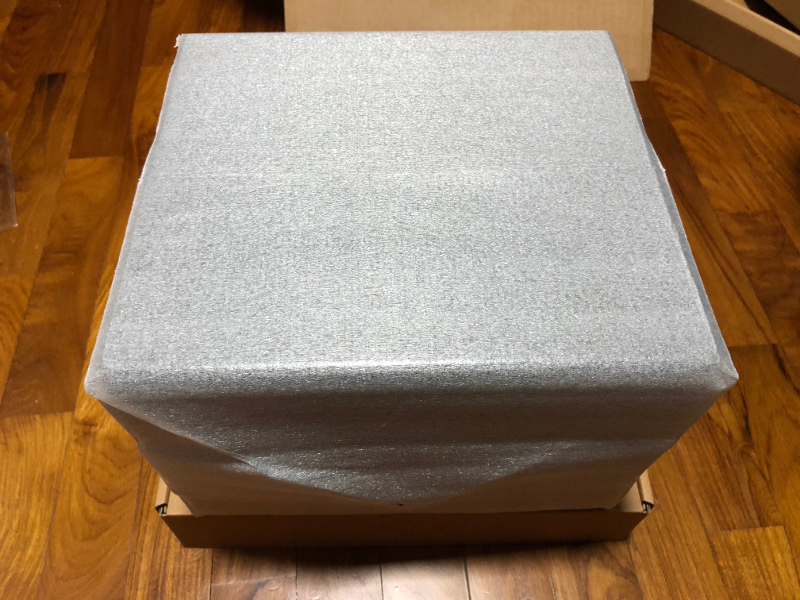 In addition, the black metal chassis is sturdy enough to protect the electronic parts from dust and accidental knocks. Although there are two fans to keep it cool, the Synology DS418 is quiet when everything is normal. Whenever Synology DS418 needs your attention to fix some issues, it will beep for you. However, that rarely happens and you may even forget that it is under your work desk. 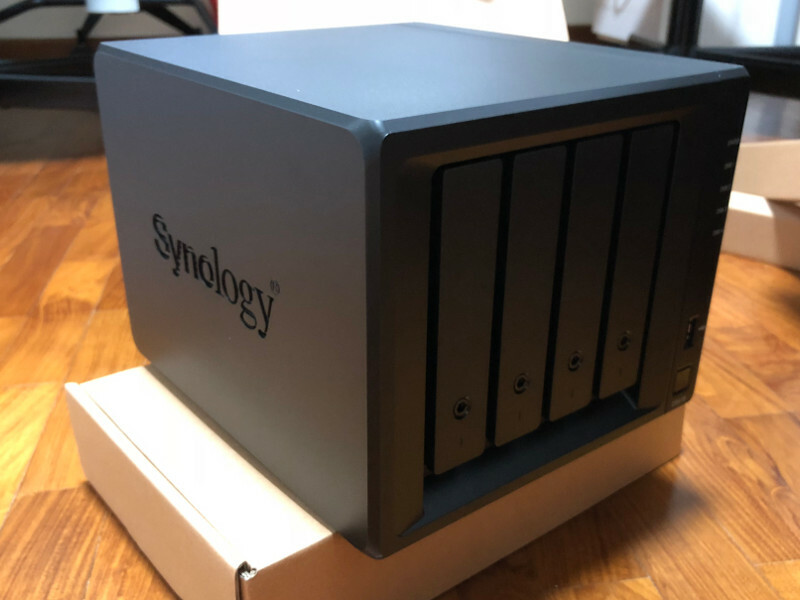 With 4 hard disk bays, the Synology DS418 is able to use the Synology Hybrid RAID 2 to make the 4 hard drives appears as one big one. So what is Synology Hybrid RAID 2? In short, it is a way for Synology NAS to save data across all your hard disks with some amount of data redundancy. Because of that, even if 2 hard disks fail at the same time, you will still be able to rebuilt your storage with 2 new ones without suffering any lost of data. In case you need to know more, Synology has a good article that tells us what Synology Hybrid Raid is. 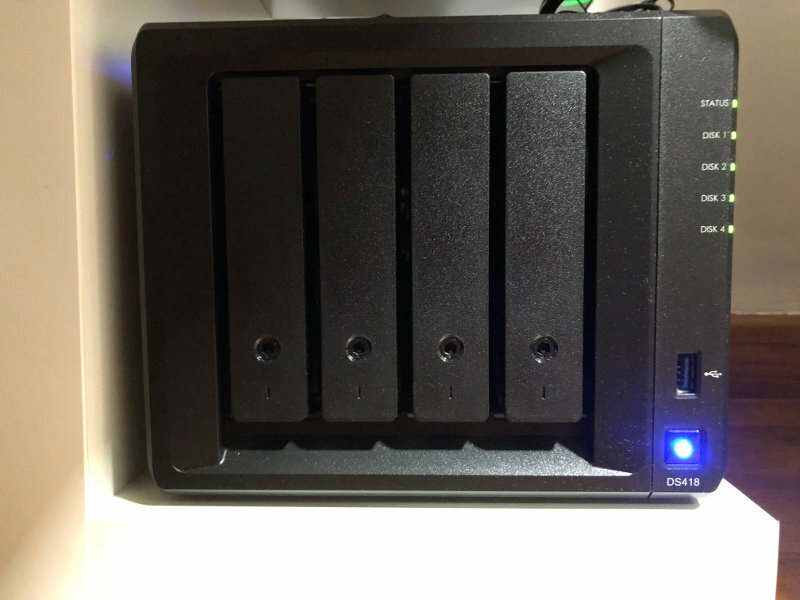 Given these points, I got four Western Digital WD Red Pro 4TB NAS Hard Disk Drives and slot them into my Synology disk bays. Even though the Synology DS418 supports over 40TB raw single volume capacity, I figured out that a 10TB storage will be enough to help keep my data for quite some time at a lower price point. 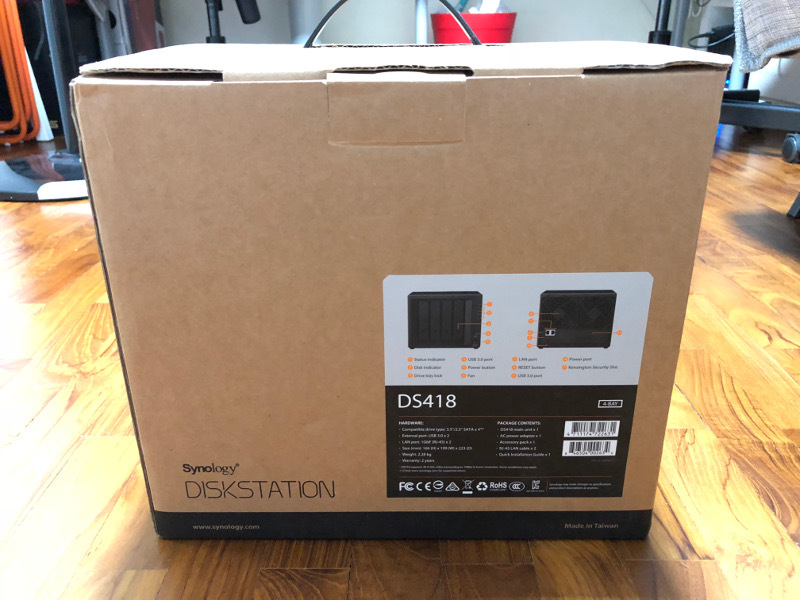 Not just the Synology DS418, but all Synology NAS comes with the Synology DiskStation Manager. There are a myriad of features that the Synology DiskStation Manager brings about through a user friendly web portal. Video Station which can help me manage all the movies, TV shows, and home videos on my Synology NAS. In addition to that, it can provide streaming of these videos to various devices. Photo station which can help me setup a personal photos gallery. Note station which can help me keep track of my notes, that I can create from multiple devices, on my DS418. With 2 gigabit network ports, I can simultaneously backup the data on one computer while streaming movies from my DS418 to my TV at full gigabit speed. 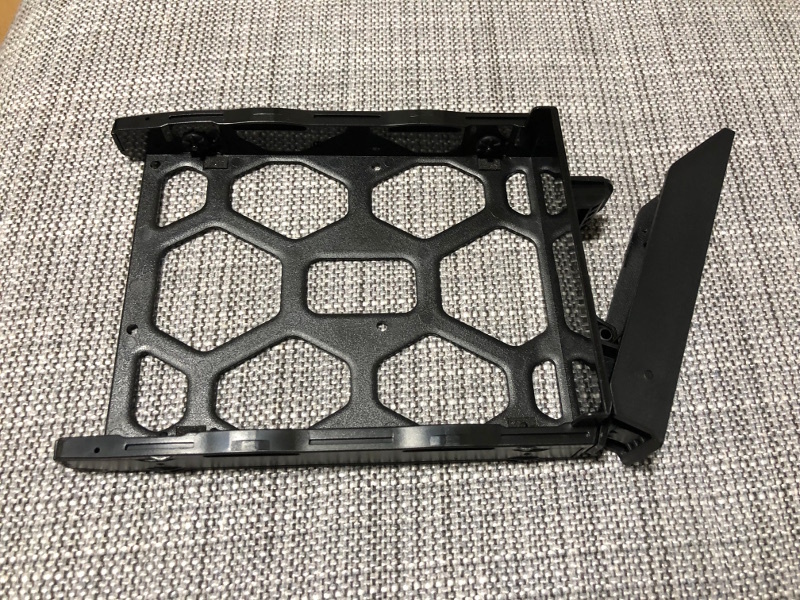 The prerequisite to this is that both network ports are connected to a gigabit network switch, which most routers should have. For my home setup, I had connected both ports to the switch ports of my Linksys EA7500 Max-Stream AC1900 router. Another feature that made me buy the Synology DS418 is that it has 2 USB 3 ports. 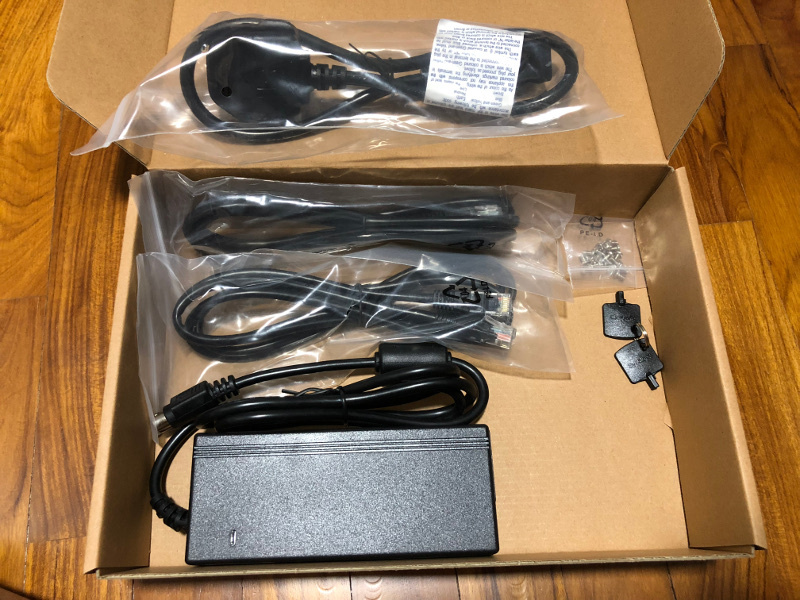 With those ports, I can quickly connect an external hard disk and save some files that I needed for a presentation at a place that may not have a reliable internet connection.